Your kitchen may be usable, but is it truly the kitchen of your dreams? Do you get ready every morning and wish your bathroom was different? We have all been there; thankful for what we have, but dreaming of something better. Whether you wish your kitchen was bigger, or you dream of having a shower instead of a tub, our experienced kitchen remodeling contractors have a perfect solution for you. As an experienced kitchen remodeling company, Mathieu Builders works to give you a kitchen that is both beautiful and functional, turning your visions and dreams into reality right before your eyes. 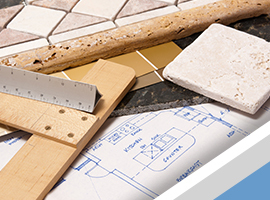 With our bathroom and kitchen remodeling services, you can have you want, and we can make that happen. Remodeling your kitchen and bathroom is not only something you can enjoy now, but it will help to increase the value of your home as well, and our kitchen and bathroom remodeling experts can help! Kitchen and bathrooms are the most used rooms in your home. In a home’s layout, the most important thing is that the spaces you use most are conducive to your lifestyle and needs. Whether you would like a double sink or more open space, we believe in designs that work for you. No matter the size of your kitchen or bathroom, we can help implement your ideas, listening to your needs and designing a layout that meets all of your expectations. Remodeling your rooms now will not only give you years of enjoyment and pleasure but will add value to your home, making reselling it later, down the road, simple. Stop wishing that your home looked different and schedule your free consultation for kitchen or bathroom remodeling services today.